Born on separate continents in 1988, Music For Dead Birds began making music together after meeting in the summer of 2007. 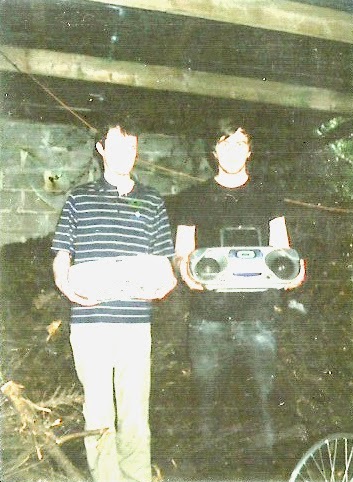 After sharing our first home recordings with the world via Myspace, we began playing gigs in our habitual Galway city. This was a creatively stimulating time, and we had the opportunity to meet and play with a lot of inspiring bands such as Phosphorescent, Villagers, DM Stith, O'Death, Angus & Julia Stone, Tenpastseven, and LITE, to name a few. In 2008, we were invited to record a live broadcast for the RTE Rnag show 'An Taobh Tuathail' from the Roisin Dubh, and in 2009 our first collection of home recordings was released by the independent Irish record label Rusted Rail. It was met with good reviews, and drew the attention of RTE 2fm DJ Dan Hegarty, who invited us to record a live session for his show in 2010. Growing tired of interacting with crowds and not instantly becoming internationally renowned and well-to-do artists, we focused less on live shows and recorded 'The Pope's Sister', a lo-fi concept album which was released in 2011. In 2014 we constructed 'Vitamins', an album of ten studio recordings, and in 2015, released a three track EP titled 'Your Brand New Life'. Since 2011, we have given live performances sporadically.